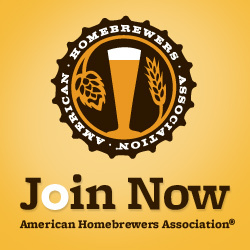 Can you suggest a book for our audience that will help them succeed in opening a brewery? The following book recommendations are collated from the answers shared, and the number of times each book was suggested. MicroBrewr has a couple books, too! Download the ebooks for FREE! 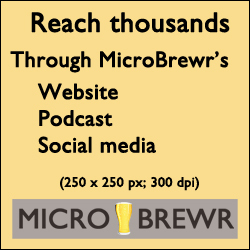 6 Free Social Media Tools To Get People Talking About Your Beer by Joe Shelerud, MicroBrewr founder. Think of this as the MicroBrewr book club. Let us know what you are reading! Leave your own book reviews and book recommendations in the comments section below. There is another book I just ordered that hasn’t been recommended, probably because it is too new. It is So You Want to Start a Brewery? : The Lagunitas Story by Tony Magnee. It literally released this month. Can’t wait to read it! The book was awesome! It gave me all kinds of inspiration and knowledge for starting my own brewery. Definitely a different writer that keeps the book entertaining. Pick this one up! Dan Woodske is the owner and brewer at his own nanobrewery, the Beaver Brewing Company in Beaver Falls Pennsylvania. Starting as an avid homebrewer he wondered why there wasn’t a brewery within an hour drive of his home…that’s when he decided to take his passion for brewing to the pro level. 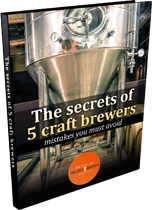 This book describes everything you need from buying brewery equipment, marketing your beer, licensing, running your brewing, and finding that perfect space. The process of opening a brewery can seem daunting, but in about 100 pages you will find brewing good beer is the hard part, the rest seems easy once it is all laid out for you. You want details on the licensing process? You want to learn how to sell your beer? You want real life examples on how a nanobrewery works and how it can be profitable? Then buy this book. Don’t spend $10,000 on a consultant, spend $15 and get info from someone that actually owns and operates a nano-brewery…and does it successfully. Via Amazon. Great read and some real good information. In fact, you should get him on your podcast! Thanks for that suggestion, Charlie. Sounds like a great one, especially now that it’s looking like my options are shrinking to the nano size. Brewing: science and practice Dennis Briggs et. Al. Thanks Gaston! That’s a lot.